Consider a multi-volume set. 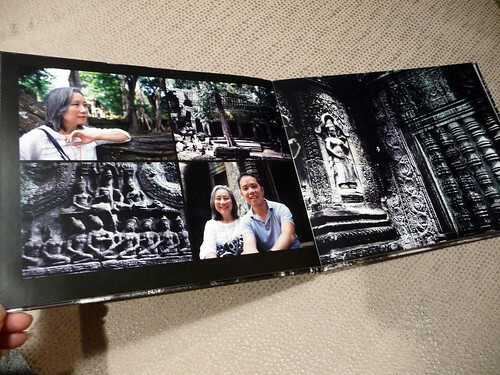 You may recall me talking about my two-part honeymoon photo book. 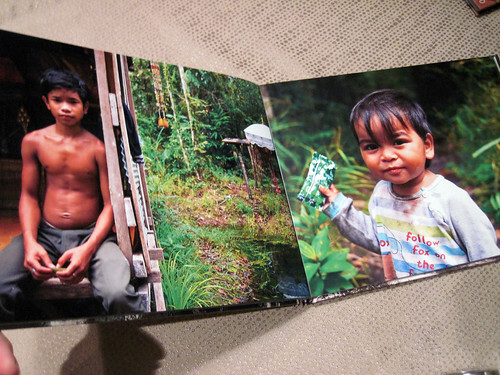 Most recently, I also put together a two-part photo book set for my family’s Asian vacation. 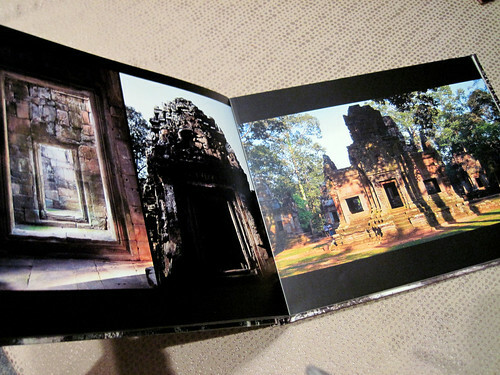 I already posted photos of volume one in my MyPublisher lay flat review. I had started trying to fit all these photos in a single 100-page book, but as I started laying out the pages and seeing how many great photos my brother took, it soon became apparent that I couldn’t fit in all the photos I wanted to, without putting too many photos on one page. I’m not a big fan of cluttering up a page with too many photos. 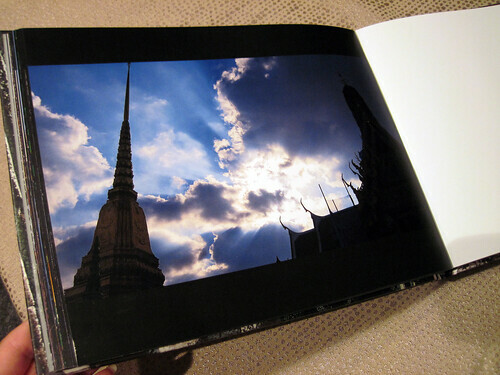 Photobookgirl Tip: For the most popular 8.5 x 11″ size photo book, I recommend no more than 4 to 6 photos per page (or 8 to 12 photos per spread) max. 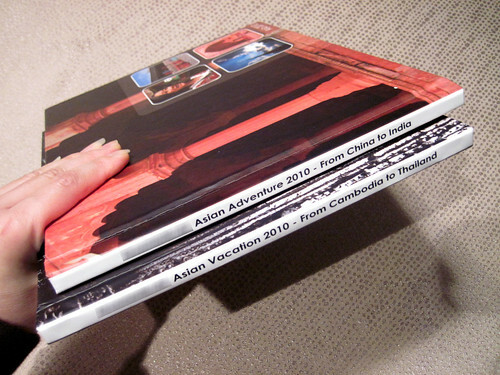 4) Additionally, splitting the books may be a a good way to maximize those photo book Groupons – since you can normally order only a single photo book project per order (since one book is uploaded at a time). 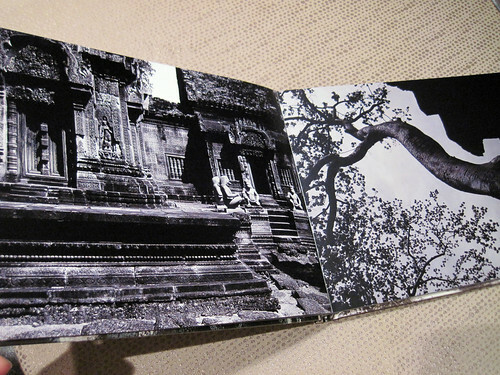 $35 for a Classic Photo Book with UNLIMITED PAGES! 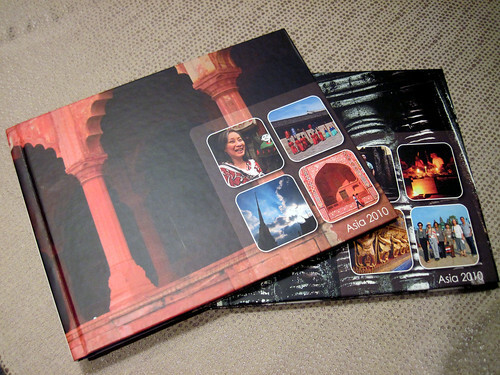 $70 for a Deluxe Photo Book with UNLIMITED PAGES! 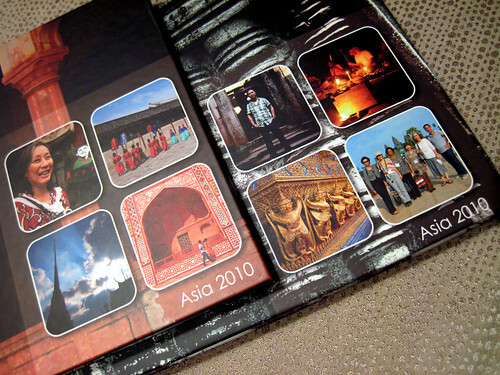 Use it to make your multi-volume photo book series! 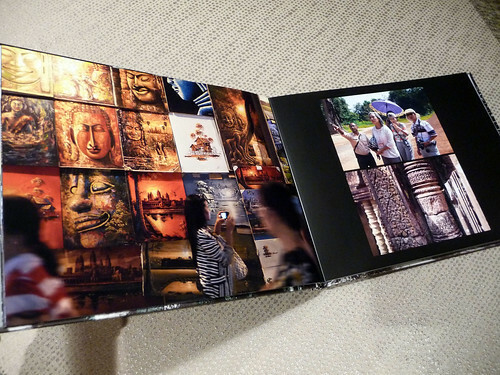 Check out my MyPublisher Deluxe Photo Book Review here! Do you know if you can you use your $20 Gift Card along with the flat rate code??? Since you asked I tried it, but appears to me that you enter the $20 gift card in the same coupon code box as the flat rate code. If you have extra pages in your book, the flat rate code gives you lot more savings! Great post and nice looking books! I wanted to share that I ended up recently completing my 2 volume set of my daughter’s first year photobooks (365 project). I had 1800 photos total and did 2 200-page volumes. As you suggested above, I averaged about 4-6 photos per page. I used the same fonts and layouts in each volume, but I made the covers and pages have a slightly different background color to visually differentiate the 2 volumes at first glance. I went with Blurb and am very happy with the results! Needless to say, I am now an expert at their software–Booksmart! 😉 And the recent Groupons I purchased helped immensely with the price! The books aren’t too thick at 200 pages–I think putting them in 1 big volume (400p) would have been too much though. Sounds like a wonderful project! I agree with you about going more than 200 pages in a single book. 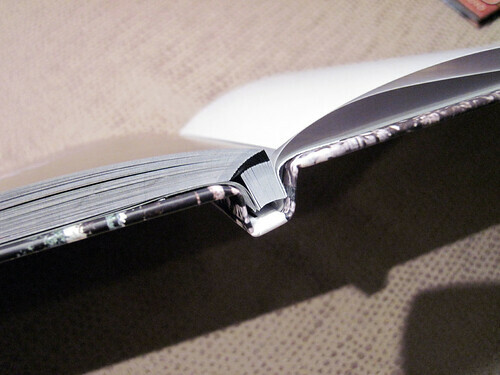 I’ve read that going to 400 pages can be very tough on the binding, and after being handled a lot may crack, so it’s good to know from your experience that 200 pages is a good size and not bulky. Also, some companies don’t warrant binding after a certain page count. Thanks for sharing! 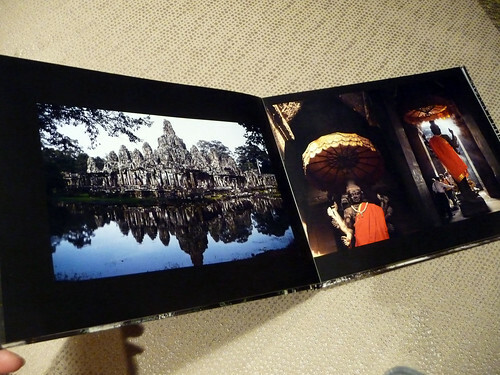 I having been working on my photo album for my trip to India in 2012 (yes, I’m a bit behind), and due to the number of pictures I took, there was no way I was going to get it all into one book. So, I’ve turned the trip into 3 volumes. I’m glad I did that b/c I ended up using the heavy weight, glossy paper and with 100 pages, it was busting at the seams. I will be doing the same for my trip to Africa from 2013, which will be at least 3 volumes as well, if not 4!!!!! sounds like you had some great trips! Happy photobooking! The books only go to 100 pages. So, what it means is you pay for 20 pages which is the base price, and you get up to 80 free – it’s one of the best deals they have! I think you found the right one. It will be a code with PHOTOBOOKGIRL in it.